Fajar Juang Ekaputra is a Post-Doctoral researcher at TU Wien. His research topic focuses on Semantic Web Technologies for data integration and knowledge change management in several application domains, including Industrie 4.0, Personal Data Management, and Smart City. During his time in TU Wien, he took part in implementing both practical and research use cases for industry partners in several domains. Concretely, he was involved in developing analytic and management tools for AutomationML models and building a common concept ontology for a Hydro Power Plant production system as part of the CDL-Flex project in the Automation System Engineering domain. He was recently leading the development of the STAR project prototype, where he designed and integrated semantic search capabilities for software architectural knowledge in a large organization. He co-authored 5 book chapters and more than 20 papers in refereed venues out of which 2 won best paper awards. One of his recent publication in the area of knowledge change management was selected as one of the best paper nominations. 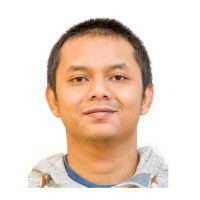 He is actively involved in research communities as a scientific reviewer for several international conferences and workshops, e.g., ISWC, SEMANTiCS, IFAC, ICoDSE, and BigScholar. Doctoral Thesis: Ontology-Based Data Integration and Knowledge Change Management in Multi-Disciplinary Engineering Environments. Research and Development of Linked Data and Semantic Web Technologies. He is currently working on several projects, including CitySPIN, SEPSES, EXPEDiTE, and SEMCON. Research works and lectures within “Data and Software Engineering” and “Computer Engineering” Research Group, School of Electrical Engineering and Informatics. Simple Web Programming. Develop parts of company web framework.